The Sorcerer - HTML5 Game - CODELISTPRO | Free Premium Scripts, Plugins, Apps Source Code. 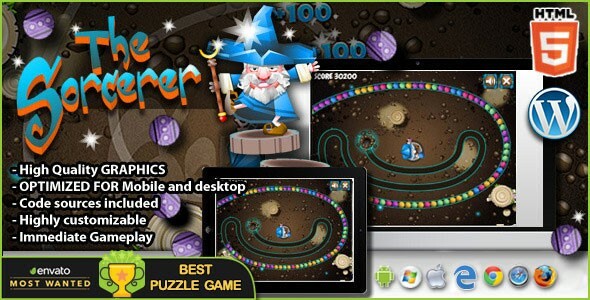 The Sorcerer is a HTML5 puzzle game freely inspired to Zuma gameplay. The game contains 3 different progressive levels. This game has been developed in HTML5/js and third-party library CreateJs (not Construct2 or other framework).